Marcus Rashford propelled Manchester United past Mbappe's PSG. Former Manchester United defender Phil Neville has heaped praise on United centre forward Marcus Rashford, who has been playing a talismanic role for the Red Devils since interim manager Ole Gunnar Solskjaer took charge. With his most recent contribution, an under-pressure injury-time penalty kick, to seal their remarkable comeback win in Paris, the youngster is being lauded. Following Manchester United's remarkable comeback against PSG in the UEFA Champions League, former defender Phil Neville spoke with TalkSport, complimenting the positive changes in the youngsters' fortunes, since Solskjaer took the wheel at Old Trafford. Under former manager Jose Mourinho, the 21-year-old was either pushed to the flanks or left on the bench, with the manager failing to get the most out of the British forward. Rashford has scored 7 goals and set up another 4, playing as a central striker (his preferred position) for the 20-time EPL champions, since the Norwegian tactician took over. 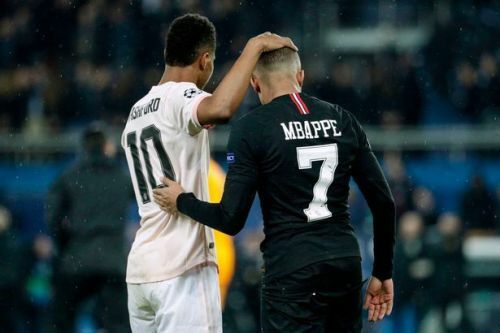 Speaking about the youngster's performance in the French capital, Neville said: “I said this around eight months ago, but I firmly believe Rashford has the ability to be held in the same breath as Mbappe – he’s that good." “Marcus is a special, special player. He is world class. He’s playing with an arrogance and a swagger. Neville added, “He’s just getting better and better, the sky is the limit for him." “What he went through with Jose Mourinho, in terms of the changing of positions and discipline, has actually helped him so much in the long run. After progressing to the next round in the UCL, the Red Devils will meet Arsenal in the league, away from home.